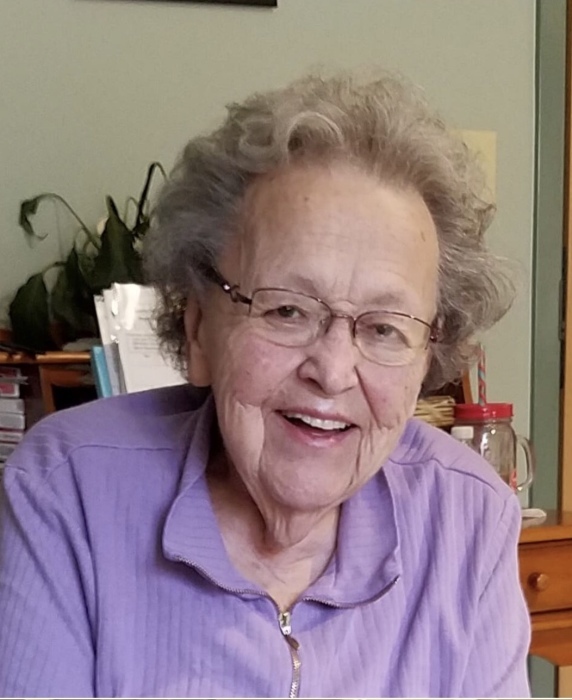 Mrs. Loretta (Vezina) Petrin, 94, longtime resident of Allenstown, passed away following an extended illness on April 6, 2019 at the Merrimack County Nursing Home. Born in Penacook on Sept. 22, 1924, Loretta was the youngest child of Ernest and Maryjane (Nepveu) Vezina. She grew up in Suncook and attended St. Jean the Baptist School and Pembroke Academy class of 1942. After graduating from the Notre Dame School of Nursing, Loretta joined the U.S. Cadet Nurse Corp. at the end of World War II for a possible military assignment. Loretta worked at Notre Dame de Lourdes Hospital in Manchester as a night supervisor and at Concord Hospital. Loretta also used her nursing skills at the Merrimack County Summer Headstart program. In 1976, Loretta began work with the State of NH Dept. of Health and Human Services until her retirement in 1991. During her retirement, Loretta enjoyed volunteering for several non-profit organizations including Public Health Nursing, the Association for the Blind, the American Red Cross and the Visiting Nurse Association. She also enjoyed volunteering at the Palace and Audi Theaters. Loretta was a communicant at St. Jean the Baptist Church in Allenstown and was a member of the Ladies of Saint Anne. Loretta moved to Bow and later to Concord during which time she was a communicant at the Immaculate Heart of Mary and was active in the Bow Young at Heart. Her interests included playing the piano, sewing and crafts, travelling, listening to music and enjoying a good game of cards. Loretta married Roger J. Petrin at St. Jean the Baptist Church on November 11, 1947. Her husband predeceased her in 1986. Together, they raised seven children and were active in the parish where their children were educated. Loretta was also predeceased by her siblings Yvonne Stebbins, Alfred Vezina, Jeannette Stebbins, Irene Drolet, Arthur Vezina, George Vezina, Beatrice Demers as well as her grandson Peter Caraway. Loretta leaves behind seven children and their spouses. Denise Leblanc and husband Marcel of Concord, Robert Petrin and wife Jeanne of Northfield, Louise Schultz and husband Tim of North Sutton, Ernest Petrin and wife Debbie of Durham, Cecile Merrill and husband Roy of Loudon, Diane Flaherty and husband Michael of Barrington, Michelle Caraway and husband Michael of Pembroke. Memere will be missed greatly by her grandchildren: Andrea and husband Steve Salhoff, Jessica Schultz, Melissa and husband Nelson Chacon, Andrew Petrin, Patrick, Sarah and Caraline Flaherty, Joseph and Daniel Caraway, and Kate Merrill. Loretta was a great-grandmother to Emily Salhoff and Emelia Markham. Loretta also leaves behind many nieces and nephews. Loretta will be remembered by those who knew her as a woman with a strong faith in God, a great love for her family, a wonderful sense of humor and a willingness to assist those around her. Loretta’s family would like to thank the staff at the Merrimack County Nursing Home and the Concord Regional VNA Hospice team for the care they gave to Loretta. Calling Hours will be held on Friday, April 12, 2019 from 4:00pm-6:00pm at the Petit-Roan Funeral Home, 167 Main Street, Pembroke. A Mass of Christian Burial will be held on Saturday, April 13, 2019 at 10:00am at St. John the Baptist Church, Allenstown. Burial will follow at St. John the Baptist Cemetery, Allenstown. In lieu of flowers, donations can be made to the charity of your choice.